"This is a story about the world's secrets that only me and her know…" Toho Co. has unveiled an official trailer for the Japanese animation film titled Weathering with You, the highly anticipated next film from writer/director Makoto Shinkai, who achieved worldwide acclaimed with the beloved animated film Your Name. Weathering with You is another new original film from Shinkai, featuring some stunningly gorgeous animation. 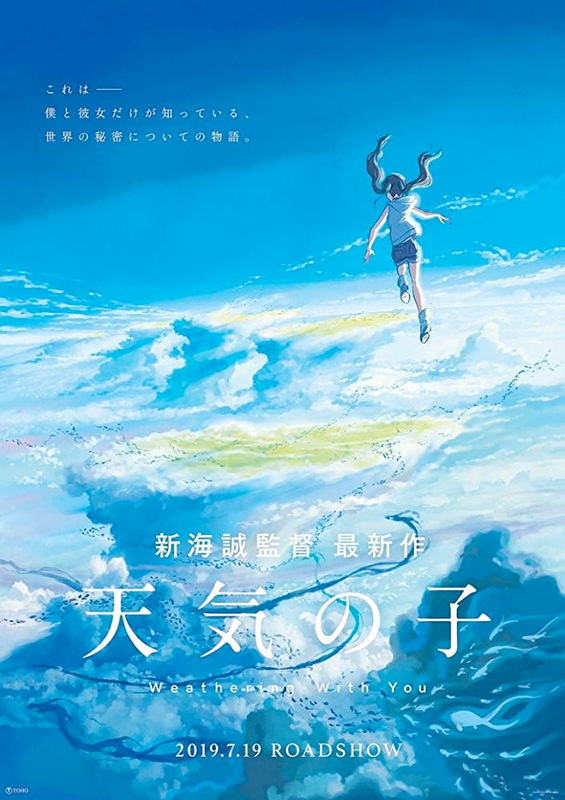 The Japanese title is actually Tenki no ko, which translates to Child of Weather, as the film is about a young man who moves to Tokyo and befriends a girl who can manipulate the weather (the power to stop the rain and clear the sky). The original Japanese version features the voices of Kotaro Daigo and Nana Mori. This is one of those exhilarating trailers where you don't even need subtitles or translation, the animation speaks for itself. And I won't deny that I'm considerably excited to see what this film is all about. High school student Hodaka Morishima leaves his home on an isolated island and moves to Tokyo, but he immediately becomes broke. He lives his days in isolation, but finally finds a job as a writer for a shady occult magazine. After he starts his job, the weather has been rainy day after day. In a corner of the crowded and busy city, Hodaka meets a young girl named Hina Amano. Due to certain circumstances, Hina and her younger brother live together, but have a cheerful and sturdy life. Hina also has a certain power: the power to stop the rain and clear the sky. 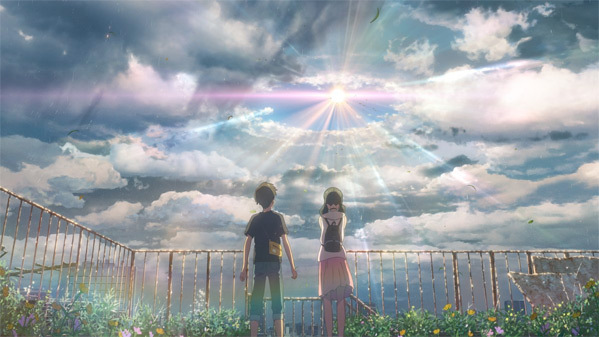 Weather with You is both written and directed by Japanese animation filmmaker Makoto Shinkai, director of the films Show Show, The Place Promised in Our Early Days, 5 Centimeters Per Second, Children Who Chase Lost Voices, and The Garden of Words previously. The film is set to open this July in Japan. No other release dates are set yet. Stay tuned for more.